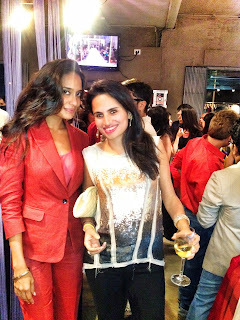 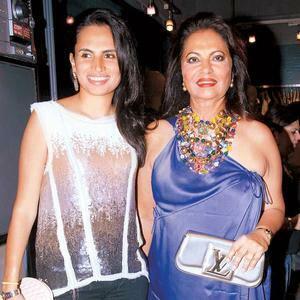 Face of Divo and cover girl for ELLE's August 2012 issue - Lisa Haydon was at the launch of her cover at designer Narendra Kumar Ahmed’s store. 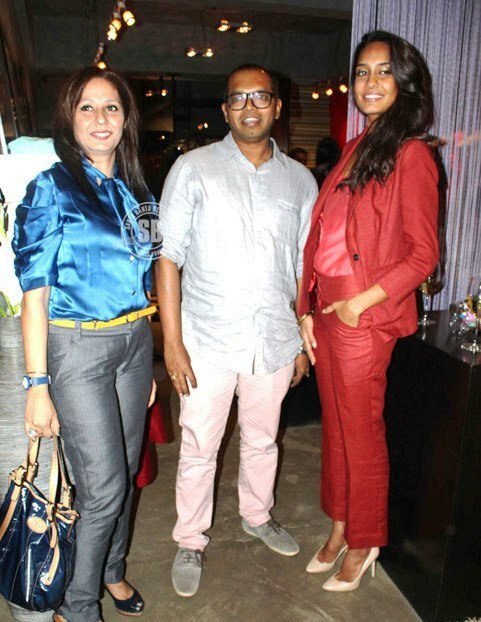 Dressed in Narendra Kumar brick red trousers suit with coral blouse - modelling a different take on dressing for office. See more photos from the launch below! 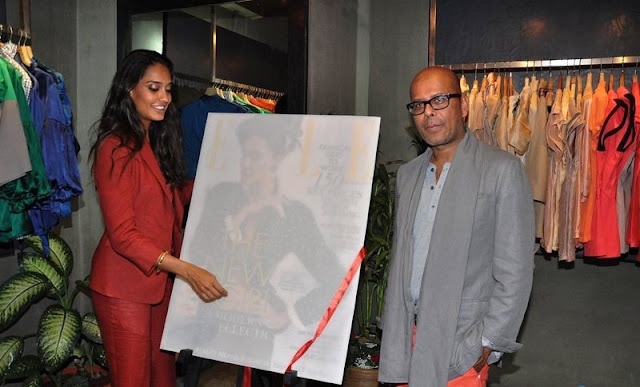 Lisa Haydon and Narendra Kumar unveiling the cover. 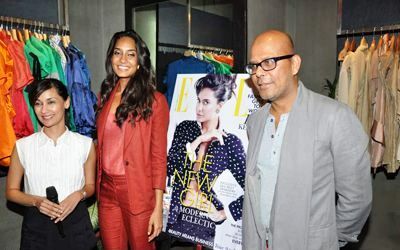 Lisa Haydon, Narendra Kumar and Editor in Chief of ELLE magazine, Nonita Kalra unveiling the cover.